It has been a while since I gave an update on little L's hair. So, I started this new regimen whereby, her hair is hardly manipulated. The regimen has been working because her hair is growing so much. It is very simple! I wash, condition and stretch her hair in about 6 twists. I usually use Shea moisture moisturizing crème for kids topped with raw Shea butter on her hair before stretching. The next couple of days, I put her hair in mini braids. It takes me a couple of days because the braids are so small. One of these days, I am going to start doing videos again and show how I braid her hair and take them out. 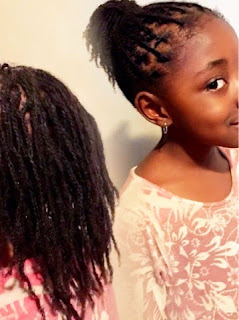 While she is wearing her braids, I cowash them using As I Am Coconut Cowash conditioner. I always moisturize with the Shea moisture curling crème for kids and seal with Shea butter to keep the ends stretched. I like the individual braids because I am able to massage her scalp with oils and they are versatile. I also try not to use anything liquid to moisturize the braids because I like to keep them stretched especially because they are so small and can easily form single strand knots on the ends. 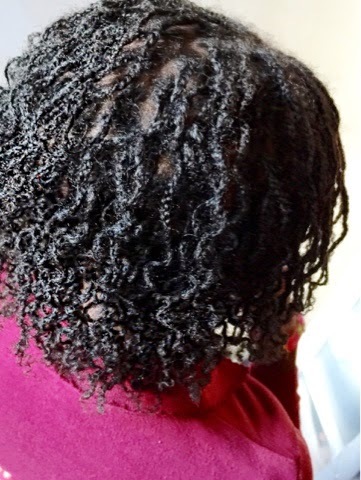 I use a water-based creamy moisturizer to moisturize her braids. 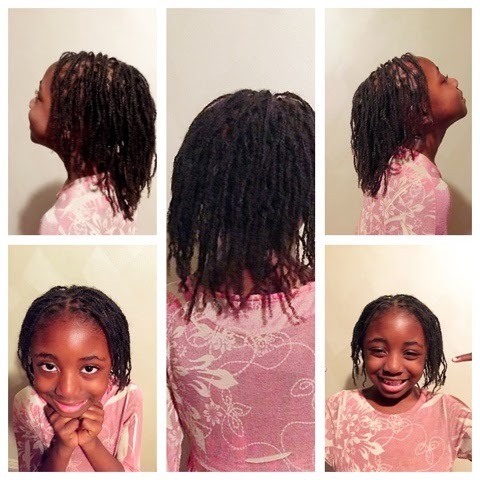 I use Shea Moisture curling butter for kids and seal the ends with raw Shea butter. This style usually lasts for a month and can last longer if kept well.